A few months ago I took a metal stamping jewelry class. 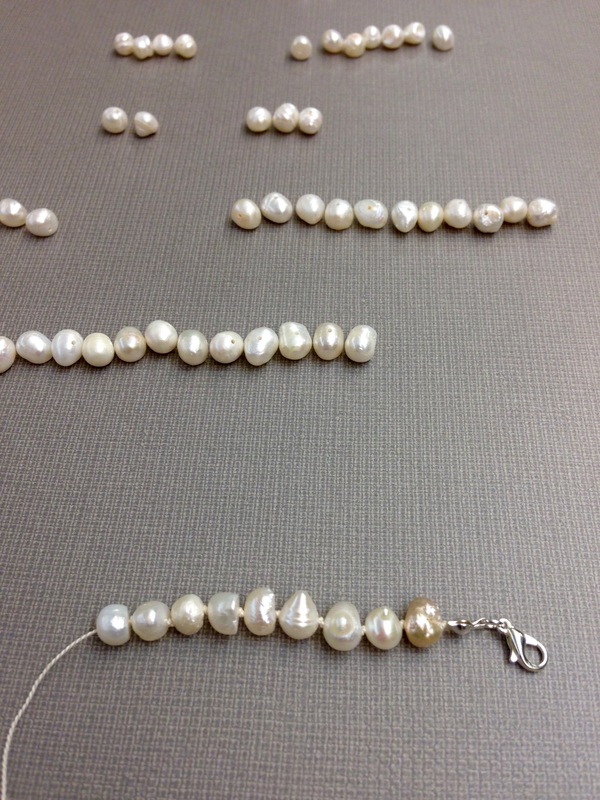 I really enjoyed my experience, so when I saw a class on pearl knotting I thought it would be a fun way to spend a few hours. 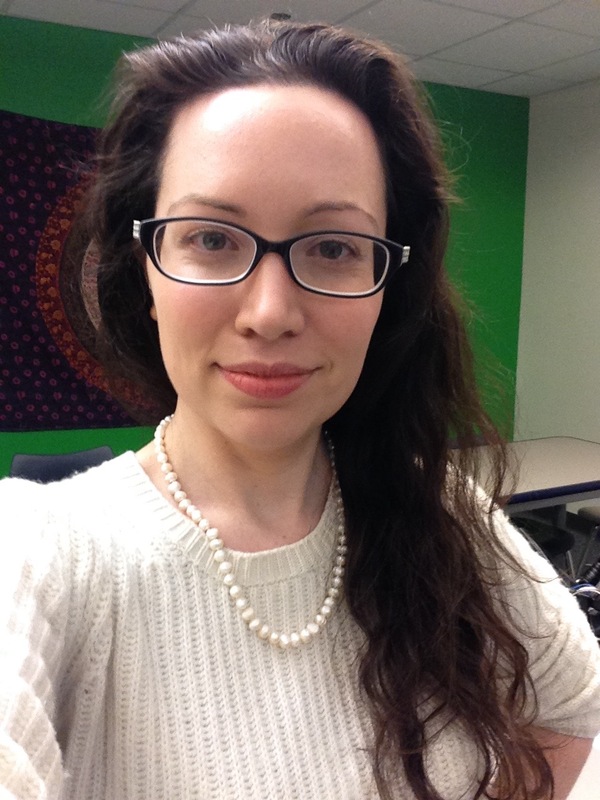 Chandler Williams, a local jewelry designer, hosted the class at The University School of Nashville. 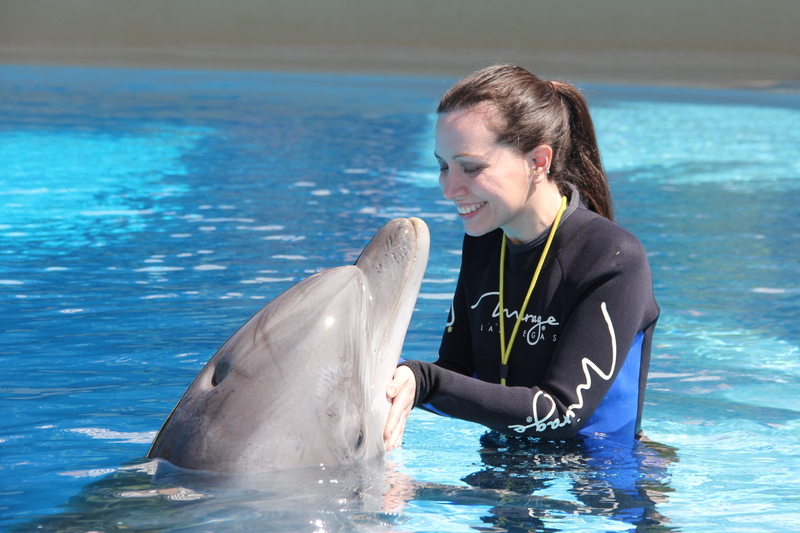 (USN has a ton of fun evening classes, so check out their offerings if you live nearby). 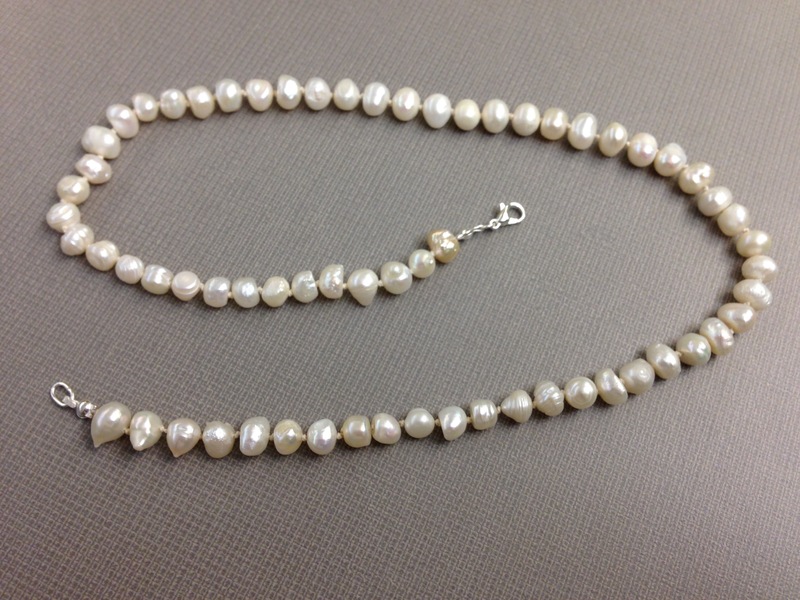 Pearl knotting is the practice of making jewelry by hand tying thread knots between beads on a necklace or bracket. 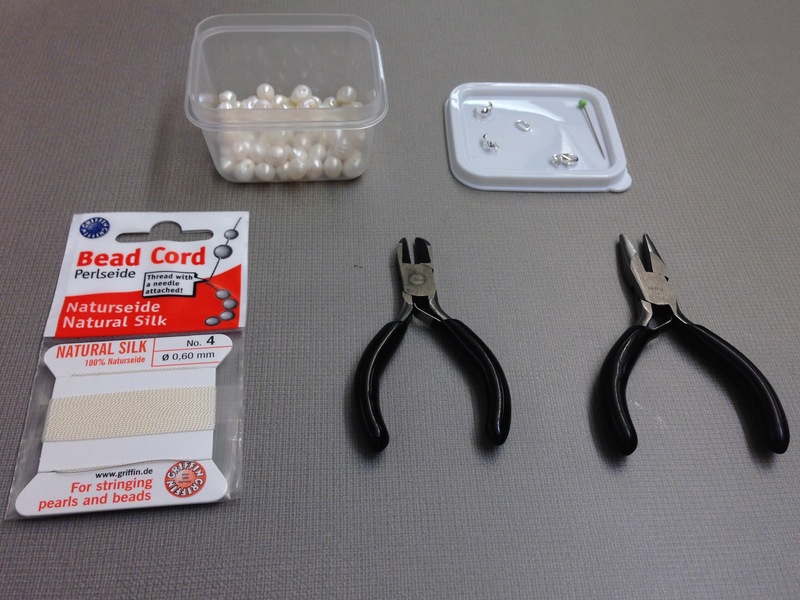 It is a pretty simple process, and you only need a few supplies: pearls (any size will do, but if you want a 20-inch stand you’ll need 65-70 6mm pearls), 2 clam shell knot covers, a clasp and jump ring, natural silk bead cord (size 4, .60mm), and some G-S Hypo Cement glue. 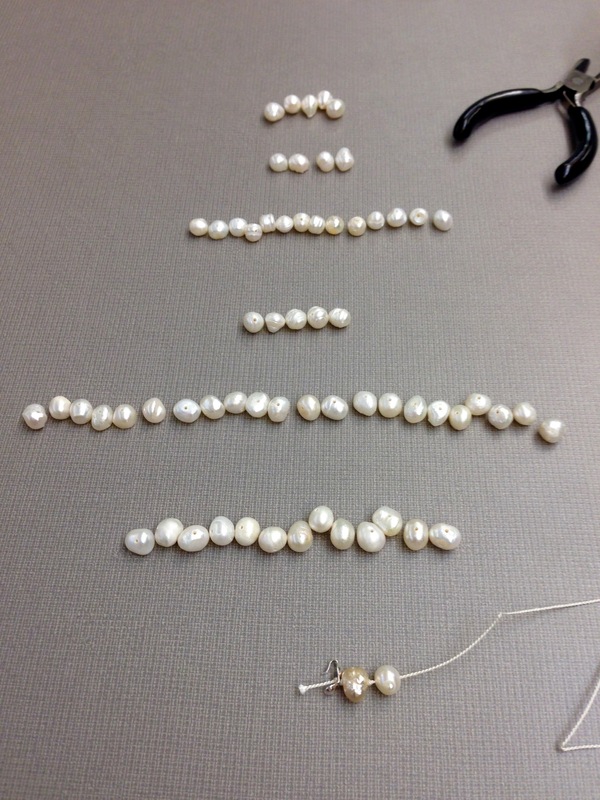 Before I started I neurotically laid out my pearls so the necklace would be symmetrical and the best and largest pearls would be in the front. I never miss an opportunity to be obnoxiously organized. You begin by tying a knot at the end of the string and placing one of the clam shell knot covers at the base. The clasp is then attached and you have a start to your necklace. The knotting process can be pretty tedious. It took almost 2 hours to do a 20-inch necklace, but I enjoyed it. There was something calming about focusing on the knots. It took some concentration to avoid mistakes of having the knots too large or far apart. I was able to use the time to clear my mind and only focus on what was in front of me. 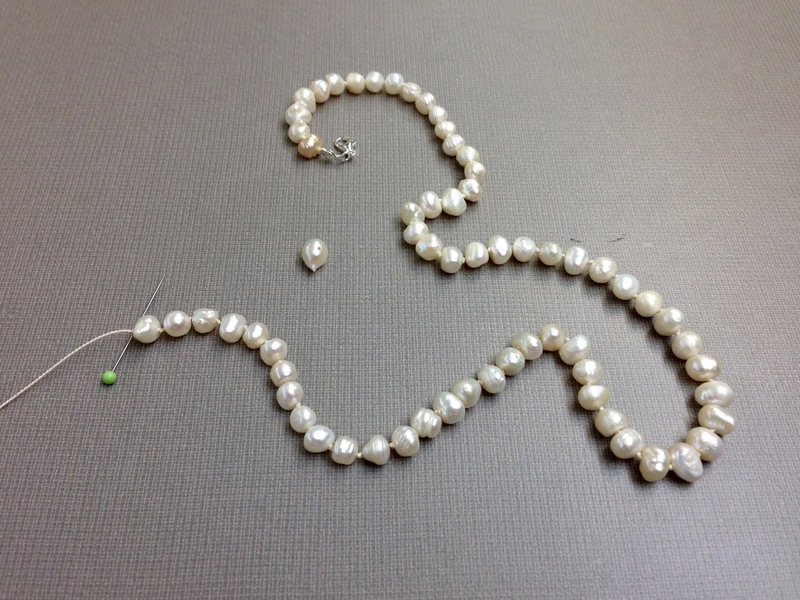 Each time I tied a knot I used a corsage pin to move the knot as close to the pearl in front of it as possible. Then, I used the next pearl in line to tighten it. I repeated these steps approximately 70 times. The process was pretty mistake-free, except for when I got distracted by work texts and started getting the string tangled around itself. Voila! After a little bit of effort the necklace was done! It ended up being a lot easier than I thought. I really enjoyed the class. There was something zen and relaxing about focusing on the knotting and not being distracted by the world around me (well, except temporarily by work).